Looking professorial in his top hat, glasses and bow tie, the owl in this vintage bird image is quite a charmer. If you are looking for an illustration to depict wisdom, intelligence or simply want a cool owl image; download this wonderful owl drawing by Oliver Herford. 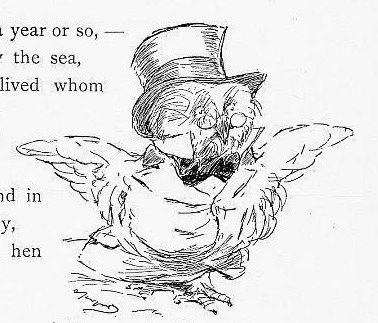 It is one of several drawn by Oliver Herford (1863-1935) and included in The Jingle Book from 1899.